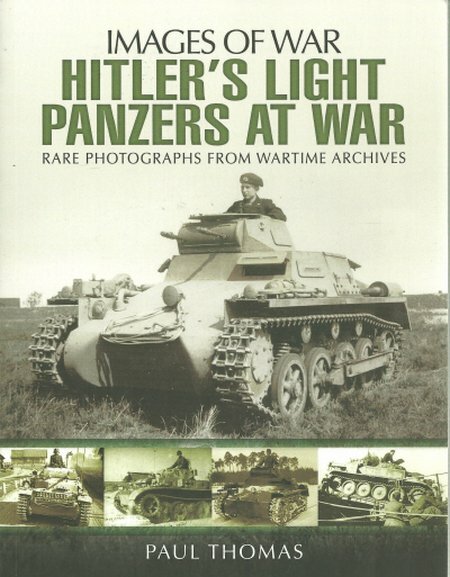 This photo essay produces a very effective picture of the light tanks that formed the backbone of the German armoured units at the start of WWII. Highly recommended. DESCRIPTION: This photo essay produces a very effective picture of the light tanks that formed the backbone of the German armoured units at the start of WWII. Highly recommended. What may surprise many readers is the extent to which the Germans relied on Czech tanks, particularly at the start of WWII. Skoda became an international joke after WWII as a result of the dead hand of Soviet controls and mismanagement. That reputation is still being painfully rebuilt because negative jokes have a habit of lingering on. Skoda was, and is once again, a major and innovative designer and manufacturer. Before WWII, Czech ingenuity produced two weapons in particular. One was to be license manufactured in Britain to become the famous BREN light machine gun. It was so good that many were modified to fire the standard NATO rifle round and soldiered on through the Cold War as the standard British squad support machine gun. The other weapon was the Skoda T-38 light tank that was years ahead of its competitors and was eagerly pressed into service by the Germans. Without the T-38, it is possible that WWII would have been delayed by 5-6 years, giving the Germans a major technical advantage in weapons and perhaps enabling them to win the war. The T-38 could therefore be cited as the great advantage to Britain and her allies, encouraging Hitler to think he could withstand any defence, when patience, until his rearmament program was complete, could have given him the opportunity to triumph..
German production of the first two marks of tank were uninspiring. The Gamma, Mk 1, was a thinly armoured reconnaissance tank, armed with two rifle calibre machine guns. Its mechanical reliability was highly questionable but it was the most numerous home-produced tank available to the German Army. The marginally improved Mk2 joined the Mk1 and introduced a canon armament but was still a disappointing product. Against these two tanks, the Czech T-38 was a huge advance. Good technical reliability enhanced the excellent mobility and more powerful main gun in a more effective armour shell. The T-38 was so good that modified versions were still in front line service to the end of WWII. Germany went to war with light tanks as their main armour, when the designs were really suitable only for fast forward reconnaissance. It was only when the Mk III started to enter service that Germany could really claim to have a battle tank and its earlier efforts could be assigned to reconnaissance. What the Germans did have was a set of well-thought tactics that enabled them to use the armour that was available in a most effective way, with ground attack aircraft, motorized infantry and effective anti-tank guns. These tactics compensated for the poor quality of the early German indigenous tank designs. There is a very good selection of images and informative text in their support. This photo essay will appeal to all those with interests in the greatest global conflict.